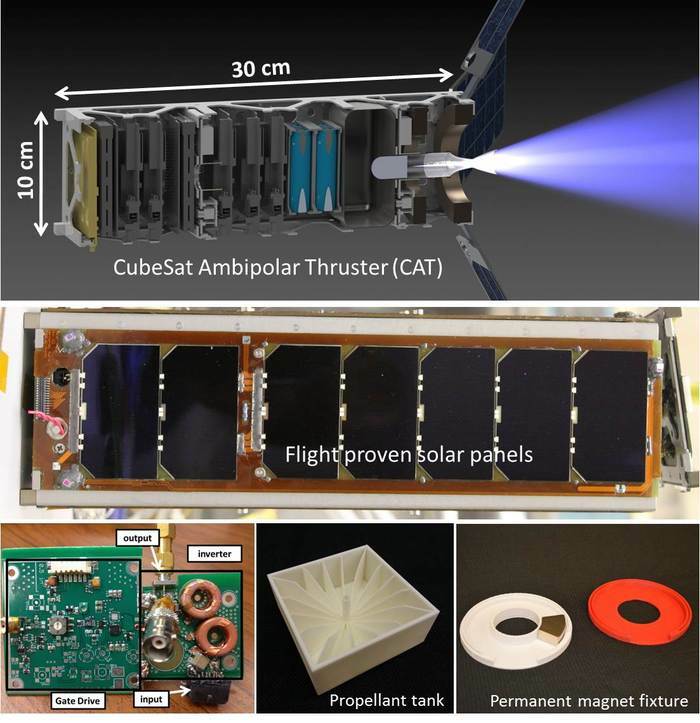 The CAT engine is being developed at the University of Michigan’s Plasmadynamics and Electric Propulsion Laboratory (PEPL). It's exciting because CubeSats are incredibly cheap, about a thousand times cheaper than your average probe, and having a thruster of this type would make missions such as flybys to a huge number of small asteroids possible. With a real thruster, a flyby (or even orbit?) of my favourite asteroid 24 Themis is doable as well. What has prevented us so far from exploring these bodies has been cost: a mission in the hundreds of millions of dollars will always need a high-priority target, such as a major planet (Venus, Mars, Jupiter) or multiple destinations (Vesta + Ceres), or a demonstration of new technology along with some science return, in which case a less well-known destination is possible. 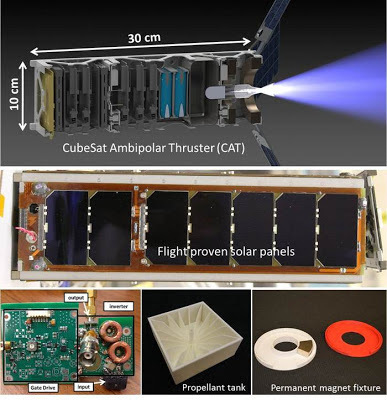 A 30 cm length and 2.5 kg dry mass means that the CubeSat can simply hitch a ride along with a much larger satellite, wait for it to enter its orbit and then quietly begin its own trip to its destination.